Why register you company in offshore Hungary? Hungary is a luxurious European jurisdiction. Hungary is located in the Central Europe; all its rivers belong to the basin of the Danube situated in the heart of Hungary. It borders with many countries, such as Austria, Slovakia, Slovenia, Ukraine, Serbia. Traditionally Hungary is not regarded as a tax haven, however, it offers a favourable tax regime for offshore business. There are also a number of other important advantages, including geographical location, transparent and reliable banking system, well-developed infrastructure that is constantly progressing. Unlike in other countries corporate law in Hungary is simple and understandable to everyone. 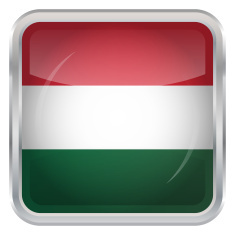 Hungary is a developing country with the law becoming closer to the Western model. Activities of firms in Hungary are regulated by the Companies Act 1988. In Hungary information on beneficiaries is not public, but if you want to act in complete secretly, then the best option for the founders is to use the services of nominee directors. Hungary has around 60 agreements on avoidance of double taxation. Hungary is also one of the CMEA member countries, which means that doing business in offshore Hungary is a much easier process, e.g. no visa requirement, no requirement for legalisation of documents through APOSTILLE and so on. Offshore Hungary provides all the necessary conditions for foreign investors and multinational companies for a successful and profitable business. If you would like to register a company in offshore Hungary we would be delighted to offer our services to you as the best solution! We promise to deliver high quality service fast, professional and at an unbeatable price! Just fill in a contact form or give us a call.